There are 17 standard rooms, 6 garden rooms and 1 garden suite. Each room is comfortably furnished with individual finishes and has an en-suite bathroom, air conditioning, heating and a TV. 2. 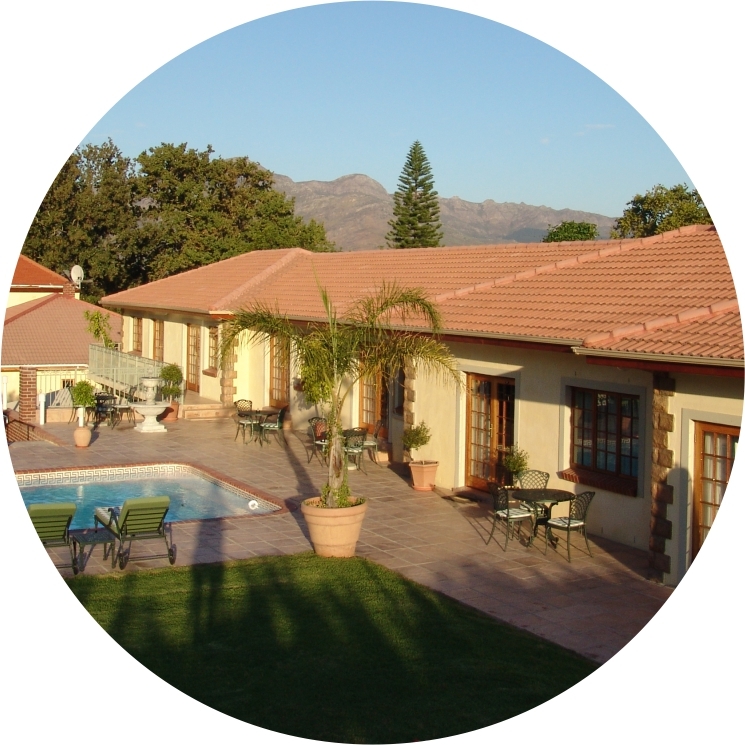 Oak Tree Lodge is conveniently situated in the historic Cape Winelands town of Paarl. Paarl boasts a central location with Cape Town and Cape Town International Airport is a mere 40 minutes’ drive on the N1 highway. 3. Surrounded by wine farms in Paarl, Stellenbosch, Franschhoek , Wellington and Somerset West, this is the ideal base from which to explore the Cape Winelands. Directly opposite the lodge is the famous KWV wine and brandy producers headquarters, an architectural masterpiece. There are several restaurants within walking distance as well as a shopping centre.